Uttar Pradesh Chief Minister Yogi Adityanath reviewed the progress of the Swachh Bharat Mission Gramin (SBM-G) in Lucknow with all District Magistrates of the State through Video Conferencing last evening. Secretary, Ministry of Drinking Water and Sanitation, Government of India was also in attendance, along with Chief Secretary Uttar Pradesh and other senior officials of the state. 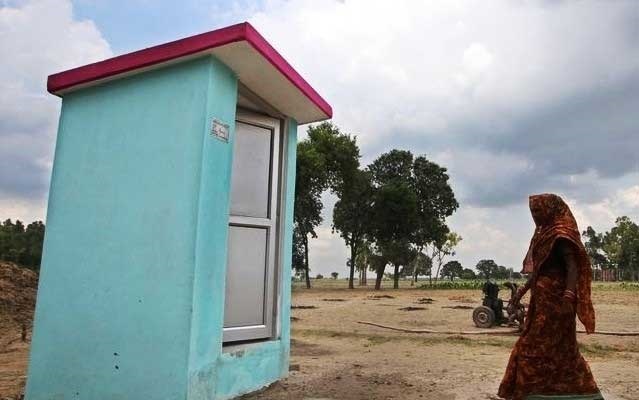 The Chief Minister reiterated the state’s commitment to achieve open defecation free (ODF) status for UP by 2nd October 2018, one year ahead of the national deadline of 2nd October 2019. He highlighted the importance of making the SBM-G a Jan Andolan, and not just a government program. He said that the districts that have done well are the ones who have successfully gotten all sections of society involved. He also appealed to all DMs to take accountability and involve all sections of society in the mission, and spend at least one hour every day to personally monitor progress. The Chief Minister also asked the DMs to leverage social media for better monitoring of implementation of the program in the field. He focused on the quality of the process being followed for behavior change triggering, and instructed the DMs to ensure timely payment of incentives to Swachhagrahis and masons. UP has made significant progress in the last six months, with the sanitation coverage for the state going past 70%. Seven districts and over 28,000 villages have been declared ODF in the state. Nationally, the sanitation coverage has increased from 39% in 2014 to nearly 85%, with over 3.75 lakh villages, 389 districts, 13 States and 4 UTs already declared ODF. Thanks for sharing this information with us! !